Irish Experience Tours brings you some of the most thrilling adventure activities that Ireland has to offer. We partner with the best experts and guides in the business to ensure you get the most from your adventure. Check out some of our most popular activities for small groups below. If you have a specific adventure experience in mind, contact us and we will do our best to design a custom tour for your group. And remember, we cater for all levels of experience, so beginners and experts alike can enjoy what’s on offer. Some say the best way to experience Ireland is from the water. Sea-kayaking with Irish Experience Tours provides a healthy mix of adventure and sightseeing and is an experience that you will not want to miss. You will get a good introduction to basic kayaking skills in beautiful and safe environments, and this activity is suitable for all levels of experience. More difficult tours are available for intermediate to advanced kayakers and come highly recommended – just ask your guide. In Dingle, you can paddle with us around the harbour, exploring some of the many sea caves and hopefully seeing the famous Fungi the Dingle Dolphin – this really is one of the best water activities on offer and great fun in a group. More experienced kayakers can opt for a full day kayaking tour and go from Ventry to Dingle (medium), or for a real workout go from Dingle to Inch (hard). Sea-kayaking in Dingle Harbour is available on the Brendan 5-Day Tour. You can also kayak with us in Ireland’s only fjord, the rugged and beautiful Killary Fjord, as part of our unique 10-day Crean Tour. Tours are also available on the Lakes of Killarney, so why not get a unique view of Ireland from her seas, lakes and rivers and get kayaking on your next adventure tour. Imagine galloping along by the water’s edge on a deserted Ventry beach in the west of Ireland on horseback at dawn, with the wind in your hair and the sea spray from the Atlantic in your face. Sounds exciting? Well, you can make it happen with our awesome horse-riding adventures available on our Brendan 5-Day Tour. If galloping sounds a little fast, don’t worry, as our tours cater for all levels of experience and age groups. Beginners can walk and trot gently up the foothills of the Dingle mountains at a leisurely pace to take in the sights. We will take the more experienced riders on the canter tracks to get the adrenaline pumping and the hearts racing. Irish Experience Tours can also take you horse-riding in wild Connemara as part of our Shackleton 8-Day Tour and our West-Coast 3-Day Tour (ask about our special offers). Professional guides will lead you along the beach between the wild Atlantic and the 12 Bens Mountains. Again, don’t worry if you are not an experienced rider. To totally slow it down and really relax, why not go for a peaceful horse-and-cart ride through the stunning Gap of Dunloe outside Killarney in the southwest. The views here are truly special and we guarantee you will not be disappointed. You can find out more about this option on our Kingdom Explorer Tour. When the weather is bright and fine, cycling has to be one of the most effective ways of directly experiencing the unmistakable charm of rural, natural Ireland. From narrow and winding country roads to the lush and rugged expanses of our national parks, to our dedicated greenways – these are just some of the routes on offer across our great island. Cruising through Killarney National Park on a bike is a magnificent way to spend a few hours in one of the most beautiful locations in the country. Ride to Ross Castle at sunset, swing past the old copper mines and Dinis Cottage, or check out Muckross House and Gardens. This is a family-friendly cycle in a majestic setting that is accessible all year round. Killarney has many route options to take advantage of, with awesome sights like the Gap of Dunloe, The Black Valley, Molls Gap and Ladies View. For the more adventurous, why not tackle the legendary 170km Ring of Kerry? If that’s a bit too much by bike, let us drive you. Other cycling options with Irish Experience Tours include Donegal’s Glenveagh National Park, a remote wilderness with a beauty that will stay with you forever once you witness it. Come and visit the castle on the edge of Lough Veagh and take in the wonderful surroundings from the saddle in this unforgettable part of Ireland. Another gem of a cycling route is the Greenway in County Mayo, a pristine 42km stretch of disused railway line between the towns of Achill and Westport. Along the route lie superb views of Clew Bay and Achill Island with many nearby attractions like Croagh Patrick and Westport House. West Galway on Ireland’s Wild Atlantic Way is another superb location for cycling. The Connemara Cycling Loop is a 150km route with several shorter loops en route if you prefer to take it easy. We recommend breaking up the route over three or four days and taking in the nearby attractions to make the most of your Irish experience tour. Valentia Island in Kerry is up there with the best cycling experiences. 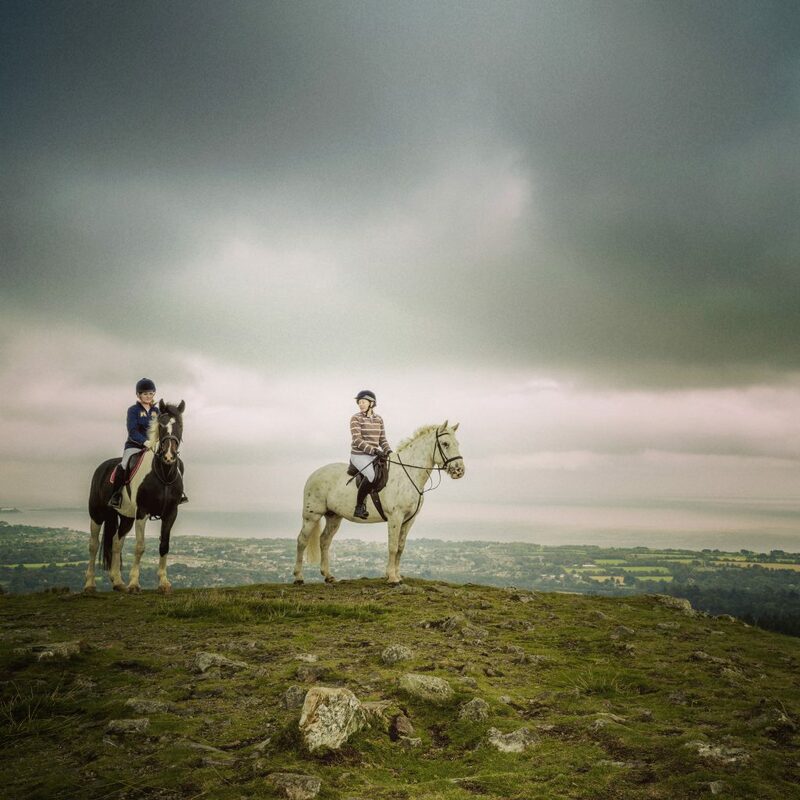 Let us take you to the Kingdom of Kerry as you saddle up for an adventure of a lifetime. Explore the island on your bike with stunning views of the famous Skellig Islands (UNESCO World Heritage site and Star Wars filming location). 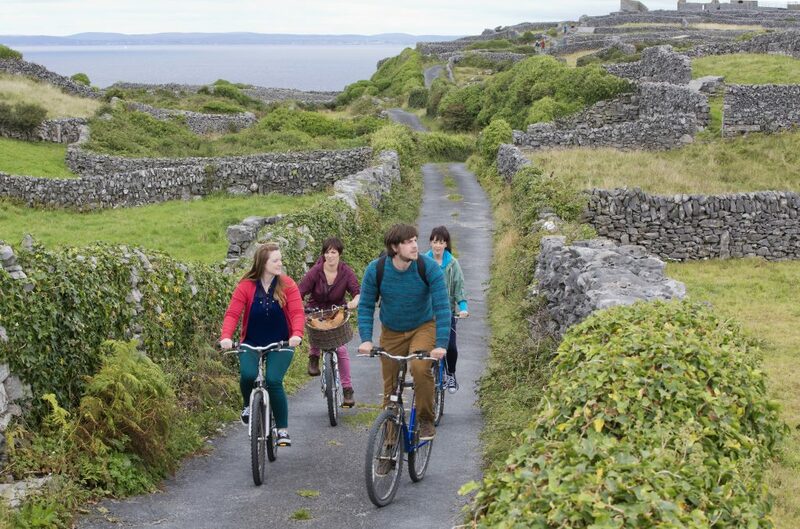 For a glimpse at the true Ireland, visit the Aran Islands with us by ferry, and cycle around the legendary Inis Oirr (the smallest and least inhabited island). This is a Gaelic-speaking wonder, full of jaw-dropping scenery, ancient low stone walls and local characters. According to many, this remote wonderland is best explored by bike. If you’ve never heard of “Blue Flag” beaches, you should know they are only awarded to the most pristine, unspoilt stretches of coastline in the world, and Ireland is proud to have more than 80 such beaches. Many of these lie on the west coast of our rugged island, also famous for its surf and watersports. Irish Experience Tours bring you the best water activities on Ireland’s best beaches. If huge waves are your thing, you need to get in touch with Irish Experience Tours and let us take you to some of the best spots in the country. 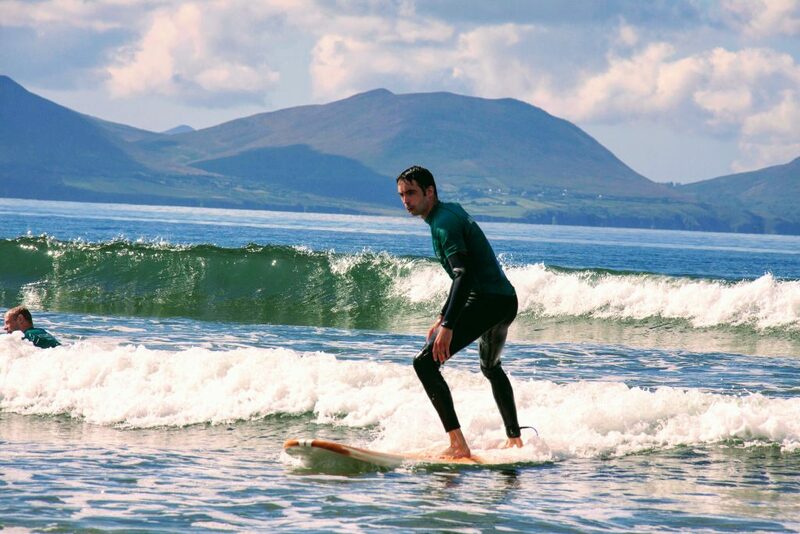 For beginners, you can learn to surf on beaches like Inch on the Dingle Peninsula (County Kerry) as well as the unbelievable Lahinch in County Clare. Both are spectacular Blue Flag beaches and are suited to learning and experimenting, especially in summer, with patient instructors in safe environments. Group rates are available so get in touch with us for the best rates. For those of you inclined towards flatter and calmer conditions, get on your boards and grab your oars and we’ll take you Stand Up Paddle (SUP) Boarding. Dingle is a great spot for this activity, and again it is accessible to all. Beginners get longer, wider boards starting out. 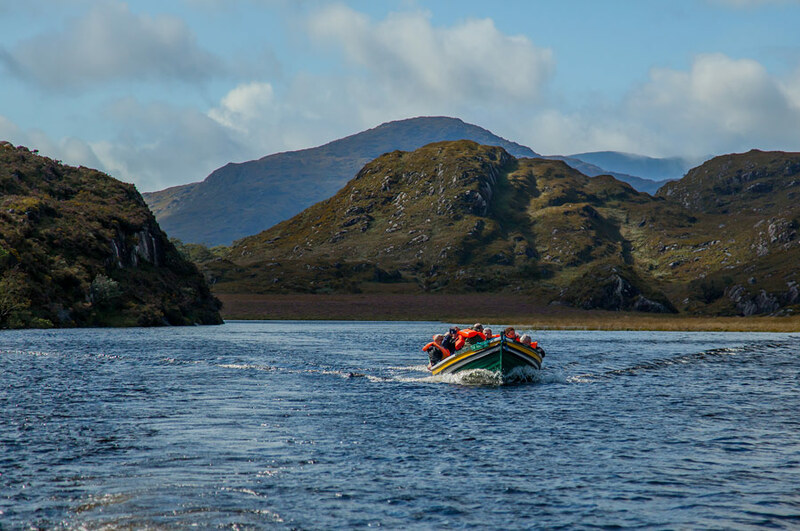 Irish Experience Tours can also bring you boarding in wild Connemara on the west coast of Galway. SUP Boarding is a great way to see the sights in a relaxing and tranquil setting. If you are an animal lover or a sea lover, you are in for the treat of a lifetime with these specialised trips. Come with us on an eco-tour in some of the most remote and striking areas on the Irish coastline. We use the best Irish wildlife tour specialists for the ultimate in nature experiences. One of our most popular eco tours is around Dingle Bay and the Blasket Islands where you can see an awesome variety of sea creatures like whales and dolphins, as well as loads of wild birds. Come with us and see the amazing puffins and incredible diving gannets in their natural habitat off the southwest coast. Staying in County Kerry, the Skellig Islands Eco Tour is another highly recommended trip. Famous for its UNESCO heritage status from its monastic history, and as a Star Wars filming location, the Skellig Islands are home to the second largest gannet colony in the world. Watching a gannet plunging into a shoal from a great height is a sight to behold. Other birds usually on display include puffins, terns, guillemots, herring gulls and cormorants. Moving up the west coast, the Aran Islands Eco Tour gives you a fantastic perspective of the Cliffs of Moher as you take in the natural wildlife of the island’s ecosystems. 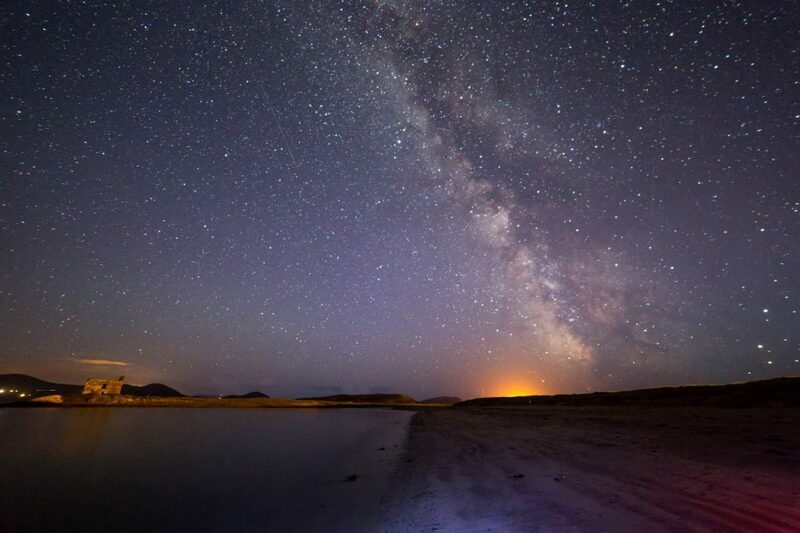 For something to see after the sun has set, why not get down to Kerry’s dark sky reserve. Kerry is one of only three gold-tier dark sky reserves on the planet, the only one in the northern hemisphere, and Ireland’s first. This means that on clear nights, the view of the night sky in this region is simply stunning due to minimal light pollution. See the Milky Way in all her glory as well as many more astronomical sights like the Andromeda galaxy, star clusters and nebula. Constellations can be viewed showing many more stars visible to the naked eye than many other vantage points across the globe. So, if stargazing is in your sights, contact us and book your next group tour today. 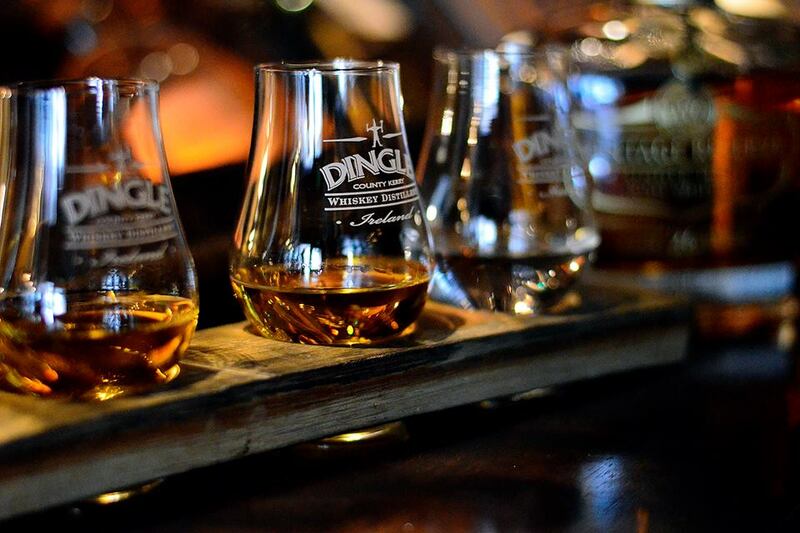 Dingle Distillery began production of traditional Irish whiskey in 2012, and today also produces Dingle Original Gin and Dingle Distillery Vodka. Each spirit has its own particular character, but all were born out of craftsmanship, quality ingredients and time maturing in the moist climate of Ireland’s south-west. The single malt artisan whiskey, produced on a small scale, has been well received and has picked up several awards in what the company heralds as the revival of the whiskey industry in Ireland. Whiskey is clear when first produced, and receives its colour from the type of cask in which it is stored. Dingle Distillery’s first batch was stored in bourbon casks, giving it an unmistakable flavour, which is widely acclaimed. To get a chance to critique it yourself and taste it in the flesh, come along with Irish Experience Tours on an amazing 5-day Brendan Tour and experience all that Ireland has to offer. The World Class Great Western Greenway (Westport – Achill) is a 42km traffic free cycling facility which primarily follows the line of the famous Great Western Midlands Railway, which closed in 1937. It’s development has been made possible by agreement of local landowners who have allowed permissive access to users to pass through their lands. The route offers gentle gradients and some of the most idyllic scenery in the West of Ireland. The route forms part of the National Cycle Network and is the longest off road cycling experience in the Country. West Galway and Connemara, on Ireland’s Wild Atlantic Way is a superb location for cycling. for everyone. Cycling is a truly a fantastic way to combine exercise and sightseeing in wild Connemara. Enjoy a no experience necessary sea kayaking tour with Clew Bay Kayaking. Clew Bay Kayaking send you out with our expert guides to introduce you to the diverse and ever-changing environment of Clew Bay, explaining the exceptional marine life in the area, paddling amongst the 365 islands of Clew Bay, with the breath taking back drop of Croagh Patrick with you every step of the way. Kingfishers, seal colonies, a vast variety of sea birds, and if we get lucky, a dolphin swimming alongside. Amidst this marine environment and stunning scenery, you can learn a new skill for life. 1/2 day tours from €60 per person. Minimum of 4 persons to operate a tour. Private tours can be arranged for 1 person at €130, and 2 persons at €150. The amazing Killary Fjord is one of only three glacial fjords in Ireland. At 16km long, it forms a natural border between counties Galway and Mayo (something had to keep those two ancient rivals apart), and it is more than 45 metres deep at its centre. Rugged, beautiful mountains rise dramatically skyward from every direction – Mweelrea Mountain towers at 814 metres on its the northern shore, the Maumturk Mountains and the Twelve Bens to the rocky south. Enjoy a half-day’s sea kayaking in Dingle Harbour, see Fungi the Dolphin at the mouth of the harbour and explore some of the many sea caves. This trip is available to all – beginners to advanced paddlers. Although not physically demanding, it provides a great introduction to sea kayaking, covering basic kayaking skills. Sunset kayaking can also be arranged. Experience the peaceful waters of Dingle Harbour and Dingle Bay at their most tranquil at the end of the day. It is not arduous but as well as visiting Fungi and sea caves, it also covers basic kayaking skills. Times dependent on time of Sunset. The sea cliffs of Dunsheane (Dun Seanna) are just 4km/ 2.5 mls from Dingle town, they over a variety of over 40 rock climbing routes, from easy rock climbs to extreme grades. There are plenty of beginner friendly routes for us to do here, we start we the easy climbs and progress. It is an ideal location for Rock climbing and abseiling as it is south facing it is a great sun trap and dry’s very quickly after showers. There is a platform at the bottom which you abseil/rappel down to and then climb back up one of the many rock climbs. All the routes we do will be done with a top rope set up as our instructors as belayers. Run with min of 2 people. The paths travels alongside the raod for about a kilometre, before veering right into the Yew Valley Wood and towards the 15th century Muckross Abbey. Take time at the abbey and explore the well-preserved ruins and vaulted cloister. From here, travel on past Muckross Traditional Farms and the fine Victorian mansion that is Muckross House. Beyond Muckross House lies the famous Torc Waterfall. You’ll need to walk for 5-10 minutes from the road to see the waterfall. Leave the modern world behind you and begin your journey into the Gap of Dunloe. The road slowly rises into the gap at first before settling into a familiar undulating pattern. The Gap is guarded on both sides by the magnificent McGillycuddy Reeks mountain range. To the west is Ireland’s highest peak, Carrauntoohil. Soon will we arrive at the base of Strickeen mountain. Strickeen is a popular walking route that has a well-defined path that zig zags its way to the summit. The Ultimate Kilkenny Experience starts off with a 90 minute hurling tour. Learn about the most passionate, skillful & fastest game on the planet. Learn the skills and find out about the history of our national sport. You would be mad to visit Ireland and not try our unique and ferocious sport. You will learn about the history of Hurling and how it has evolved into the fastest field game in the world, that we see today. This is all done in a Hurling team’s dressing room in Kilkenny City, giving you that up-close, intense experience. Once you are up-to-date on the basics of the game, we take you on to the ‘field of dreams’ to try a few skills for yourself. This will be an unforgettable experience that will live long in the memory of each guest. Why not enjoy an escorted tour of Greater Belfast’s historical sites. Let our experienced driver take you on a journey back in time to explore the many places of interest. You choose what you want to see or simply leave it to the driver. The political murals of the Falls and the Shankill tell their own graphic story of what has been called “The Troubles” in Ireland’s recent history. See the infamous Peaceline, a wall built to keep Nationalists and Loyalists apart and in the process divided the communities. These Victorian buildings played a major part in the conflict in Ireland for over 160 years, convicting, imprisoning and even executing many of those in the war. These buildings have witnessed the uncovering of many ruthless killings and bombings and have seen many escape attempts.